German Chancellor Angela Merkel said the terrorists who attacked Brussels were "enemies of all the values that Europe stands for." It was a sentiment echoed by most world leaders. Global leaders have called for concerted international cooperation to minimize the risk of further attacks after the strikes early on Tuesday in Brussels claimed by "Islamic State." "This is another low by the terrorists in the service of hatred and violence," European Commission president Donald Tusk said Tuesday. "Our disgust is just as boundless as our determination to fight terrorism," Merkel said in a speech at the chancellery. She added that Europe "will emerge stronger" from the challenge. Merkel said her cabinet would hold an extraordinary meeting on Wednesday to discuss the consequences of the attacks. German Foreign Minister Frank-Walter Steinmeier, meanwhile, said: "Europe stands together and as one. Belgium is not alone." 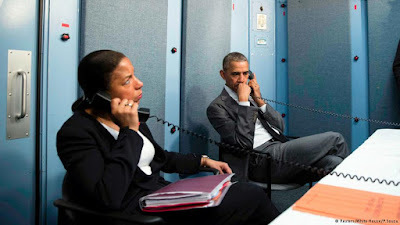 US President Barack Obama said the US would do "whatever is necessary to support our friend and ally Belgium," in the wake of terrorist attacks. "We must unite, we must be together regardless of nationality or race or faith in standing against the scourge of terrorism," Obama said during his visit to Cuba. US State Department spokesman John Kirby said: "The United States stands with the people of Belgium. We are ready to support the investigation as appropriate." The White House said the U.S. was in contact with Belgian officials about the explosions at the Brussels airport and subway system. Republican frontrunner Donald Trump said the cause of the bloodshed was "no assimilation" by immigrants. "Belgium is not the Belgium you and I knew from 20 years ago, which was one of the most beautiful and safest cities in the world," Trump told NBC. "Belgium is a horror show right now. Terrible things are happening. People are leaving. People are afraid. This all happened because, frankly, there's no assimilation." Russian President Vladimir Putin attacked what he called "barbarous crimes" and expressed his condolences with Belgium. 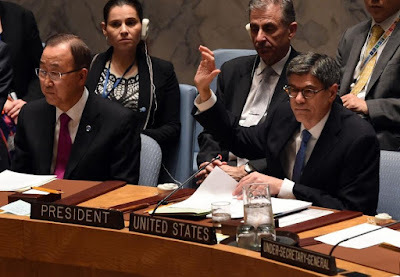 "(They) demonstrate once again that terrorism has no borders and threatens people around the world. Fighting this evil calls for the most active international cooperation." 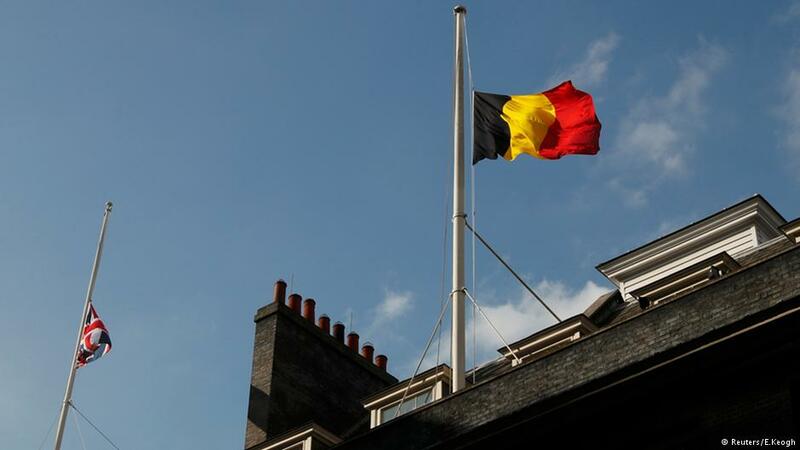 Belgium's flag flying at half-mast in London. "We will never let these terrorists win," said British Prime Minister David Cameron. "We face a very real terrorist threat right across the different countries of Europe and we have to meet that with everything we have." Cameron said the attacks could just as well have happened in Germany or the UK. “We face a very real terrorist threat right across the different countries of Europe and we have to meet that with everything we have." Canadian Prime Minister Justin Trudeau said: "My thoughts are with the victims as we stand with Belgium and the EU." "Our Union's capital is under attack. We mourn the dead and pledge to conquer terror through democracy," the Greek foreign ministry said in a tweet. It added in French, "Nous sommes tous Bruxellois," meaning "We are all citizens of Brussels." Spanish Prime Minister Mariano Rajoy said: "Terrorism will never defeat us. The union of democrats in Europe will always prevail over barbarism and madness." Swedish Prime Minister Stefan Lofven described the blasts as "an attack against democratic Europe. We will never accept that terrorists attack our open societies." Italian Prime Minister Matteo Renzi tweeted: "My heart and spirit in Brussels, Europe," while Interior Minister Angelino Alfano said "the Brussels attacks strike the heart of our Europe." Dutch Prime Minister Mark Rutte said neighboring Belgium had "again been hit by cowardly and murderous attacks. Our hearts go out to the victims and next of kin. The Netherlands stands ready to help and support our southern neighbors in any possible way." Rutte said that "extra alertness is necessary, also in our country. We will take all necessary precautionary measures." Turkish Prime Minister Ahmet Davutoglu said the attacks "have once again shown the worldwide character of terrorism." Foreign Minister Volkan Bozkir added: "Every effort must continue to fight terrorism without distinction and those who support terrorism." Pope Francis described the attacks as "blind violence, which causes so much suffering." "Imploring the gift of peace from God, (the pontiff) invokes divine blessings on the bereaved families and the Belgian people," he said in a message to Jozef De Kesel, the archbishop of Mechelen-Brussels. In Egypt, Sunni Islam's leading seat of learning, Al-Azhar, said the blasts "violate the tolerant teachings of Islam" and urged the international community to confront the "epidemic" of terrorism. Everyone on the planet will have to get off the fence in order to eliminate the dark army. Now we have told you before how to do it. And politicians will roll their eyes. Those on the inside of government who know how things work will roll their eyes. You can eliminate the dark army without death. The very thing they're afraid of losing, you can take from them now. Money! How does a dark army work when they can't eat? How will they function when they have no weapons? I guarantee you, even the darkest member of a dark army will go home if they're not fed, or there's no one around to organize them because the leaders are hungry and left. It's impossible, some say. The money is coming from unknown sources, they say. Let me tell you something. No, it isn't. It is coming from very known sources. Much of it comes from the resources of conquered land, but not all. They will start losing their land soon, so they will need funds all the more. If the sources of their income were totally exposed - there are those listening who need to hear this - if the sources of their income were totally exposed, it would make a big difference to the public, who would be shocked. Let me talk to politicians. You regularly sit across the table from those who are from other countries and who are allies. They smile at you as they fund the dark side. After all, there is money to be made with war! This has been the way of it for years. But this won't last long. Politician, when it's found out that you knew about it, you are the one who will be held responsible. You didn't do anything about it. If you did this, would it change the kind of attack you had in Paris? After all, that wasn't an army at all, but just a few. The answer is yes - for the few answer to the many and were trained by the many. They saw the many as an established core to work from. Without the core, there is no purpose. The few are then on their own, without anything backing them up. It's up to you listening, not the ones in this room. The ones listening and reading later may not even be into Kryon or channeling, but they hear this and know I'm right. This is not a dark message. It's a light message! The beginning is here. Things are changing. You are witnessing the change as we speak. There'll come a day when you will never see this happen again, these organized groups of evil. This is the joyful message I have for you today. History will remember these times when the world finally got together and realized where they were going. It is tough now. It changes the paradigm of existence. Lives, governments and business will all start to understand the battle is here and is theirs to win. What is your reaction? I want you to congratulate, love, and understand those who were lost yesterday [in Paris]. I've said this before: They are on my side of the veil now. They're all right. They're now looking back at you and - we have used the phrase before - they're saying, “We did our part. Now you do yours.” They will return to this planet, all of them, and participate in the beauty of the light you are creating at this time of shift on your planet. (*) "The Recalibration of Dark and Light"
There's too much information to give you in one channelling, in one sitting, so I refer to past messages for you to better understand and reference the information in order to get the bigger picture. So I wish to remind you of something I also told you in a recent channelling called Do Not Despair. You're winning! It's because you're winning that the dark consciousness on this planet is feeling it, and the humanity that represents darkness is pulling out everything it has to survive. Let's look at it, because it's all over the news. Are you shocked at the sudden existence of the organization that will remain unnamed [for this channelling]? Where did it come from? How could it be so organized? How could it be so well funded? This organization could have its own country soon! They might as well name it, “The Old Energy Dark Country”, for that's what it will represent. The barbaric past of humanity comes forward to show its face. It has always been there, hiding under the rocks and between the cracks of civilized humanity. It couldn't show itself until now, but now it has to. It's ugly and it's not for the faint at heart, is it, dear ones? Seeing evil personified in Human action is abhorrent. It is so ugly and so dark that you cannot look upon it with a gentle heart. God is not a part of it and this is obvious. You're winning! Light is winning! The uprising of dark consciousness would not have shown itself with this strength, or this quickly, if this were not so. This is exactly what I told you to look for, and it is proof that those representing this dark consciousness are in trouble. Dear ones, dark consciousness has always had a tried-and-true system. It lurks in the shadows and influences all the power places of the planet - government, commerce, finance. Suddenly, it can't hide there as well anymore and it's out in the open. Where is the funding coming from? It is coming from a storehouse that has always been there, dear ones. It uses income that has been generated from low consciousness acts, collected for a very long time. Funding didn't just appear. It has been stored, waiting to be used in order to spread fear and darkness to save what they believe is their way. Dear ones, they haven't got a chance! But it looks like they do, doesn't it? Everything that they are doing is calculated to scare you into submission. Are they winning? Now, that's a question I want you to take from here and examine every day. Fear is black. If you're in fear, there is no light. You can be the grandest Lightworker, or even be the channeller, but if you're in fear, it doesn't matter how many years you've done light work, or how much light you've accumulated personally. It all goes away with fear, and then they've won the battle for your mind. Do you understand this? Old souls, Lightworkers reading this, the experiences you have had over lifetimes and lifetimes are incredible! The old soul knows fear. I don't want to be too graphic, but I want you to understand! What was it like when you put your head in the guillotine because you talked about God in a way that was inappropriate? What was it like to be bound hand and foot when they lit the match at your feet? Old soul, that's fear! You carry those experiences in your Akash. I want to tell you they haven't got a chance to scare you! You absolutely know what fear is, and they haven't got a chance as long as you cling to that part of you that is the strength of God. You've been through it all. That means you've got the weapons of truth, wisdom and light. Don't forget it. Don't forget who you are! Do you see how fast they assembled? It seemed like only yesterday that there was no organization at all. Where did they come from? Have you noticed a certain hesitancy to fight them? Why is it that the citizens of the lands that they are invading are hesitant to fight them? Instead, these leaders are calling on others to help. Why is it that the others are also hesitant? I want to show you that there are some anomalies of logic that are not making sense, because this is a battle you have never seen before on this planet. We've expected it, but you haven't. It's about consciousness, not land or resources. We gave you the secret before of how to defeat them without taking even one life: Simply take away their funding. They cannot exist without their funding. The funding has to be organized, stored, and distributed. It has to be generated in such a way that it must also go through institutions. Did you hear that? All you have to do is stop the system. Winning won't be done with bombing. It's going to be done with intelligence, clever thinking and financial forensics. It's time to get smart on some of these things and not to be afraid to look at this puzzle differently than you have before. Do not apply the energy they are using in order to fight them, because you won't win. Figure it out. It's the last bastion of organized darkness and evil thinking on this planet coming together to try to survive the assault of your light. Don't be afraid to look at the funding trail, no matter where it takes you.